Rabia Kadwani with her father. 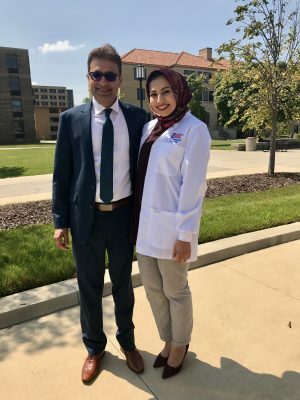 My name is Rabia Kadwani and I am a current second-year dental student. When I first decided that I wanted to be a dentist, I also decided that I didn’t want to just stop there. I wanted to be a lifelong volunteer and educator, and to make a difference in the lives of as many people as I possibly can. Now, two years into dental school, I am so excited to finally be able to do just that. In December 2018, I had the opportunity to travel to Karachi, Pakistan, where my parents are from and where I was born. More specifically, my dad grew up in Karachi’s oldest and densest neighborhood, Lyari, where poverty prevails to this day. 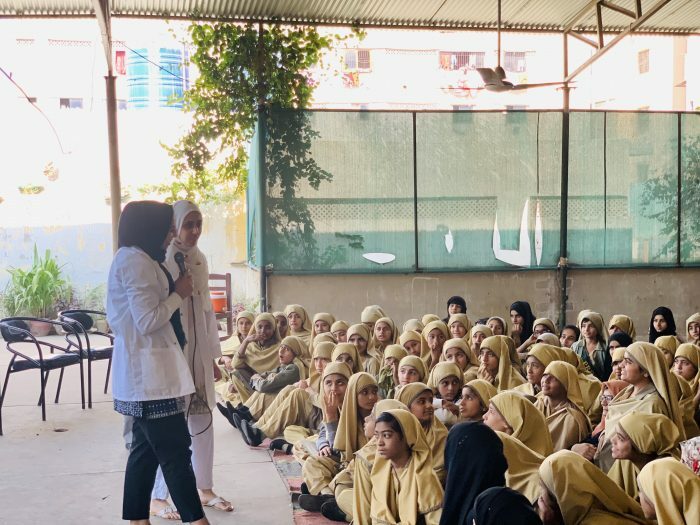 Listening to stories about his childhood and the lack of oral health education he received in school is what led me to eventually present at a school in Lyari, coincidentally built in the exact place where his childhood home once was. One hundred girls willingly came back to school during their winter break to listen to me speak about oral health. 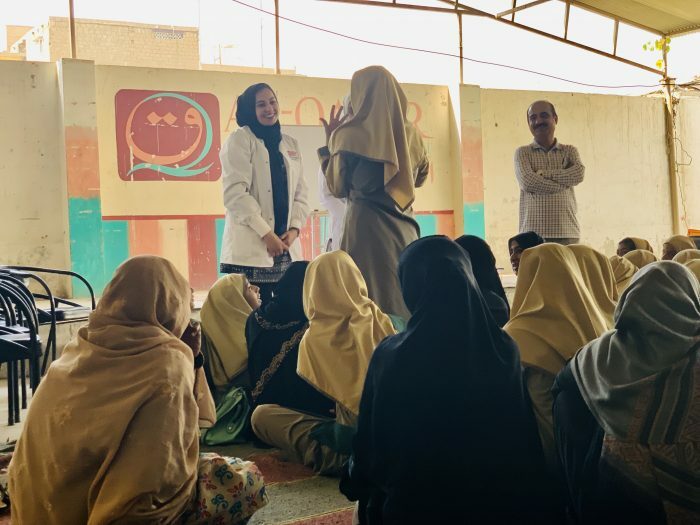 I demonstrated and discussed how to properly brush and floss their teeth, the importance of going to the dentist regularly, and the dangers of chewing tobacco in its various forms, a common practice in Lyari. 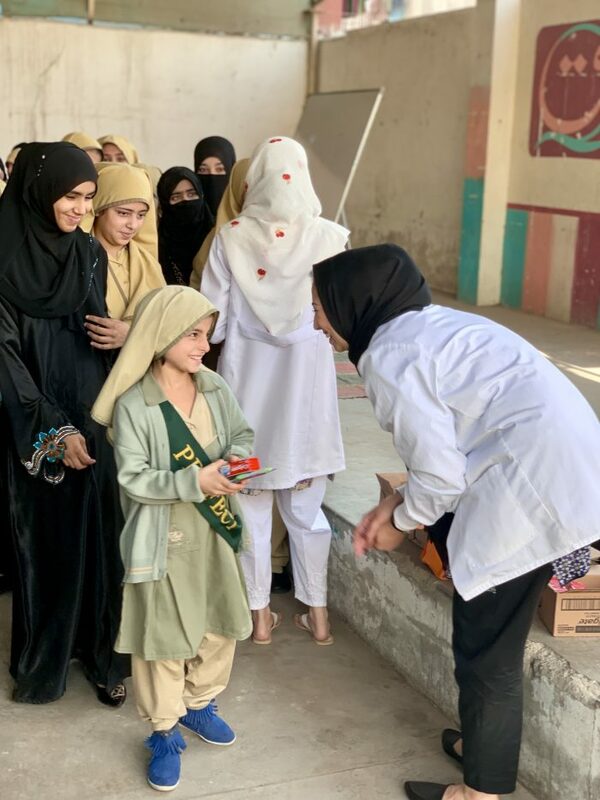 The program ended with a Q&A session and the distribution of toothbrushes and toothpaste generously donated by Colgate. It was incredibly humbling to stand in front of these young girls and serve as a role model to them. I hope I inspired them to pursue their goals and show them what is possible.